Here you can find information on different thematic areas and selected topics. All related articles from our databases are linked to each theme, which makes it easier to find all related information. Please NOTE: this section is work in progress and will be updated continously. If you would like to suggest a specific topic of relevance for WBC, or contribute to one of the monthly topics (by sending your resarch paper, unpublished or published articles, by informing the comunity on related events, links, documents etc. – please do not hesitate to contact us any time at office@wbc-rti.info and share your ideas and suggestions with us. Many definitions of the Bioeconomy exist. Defining Bioeconomy is of utmost importance as the definition is the basis on which key sectors are identified, policies designed and priorities acknowledged. Definitions change and evolve; some of them emphasize the technology aspect, others the economic contribution of the bioeconomy or the importance of a sound knowledge-base and the sustainable utilisation of biological resources. Some others interpret it in more philosophical terms, e.g. (“A vision for the future society” (Socaciu, 2014, p1) or “A future in which we rely on renewable biological resources to meet our needs for food, materials and energy” (EC, 2014). Despite the different visions similarities, such as the emphasis on economic output and a broad, cross-sectoral focus keep constant. Bioeconomy comprises those parts of the economy that use renewable biological resources from land and sea – such as crops, forests, fish, animals and micro-organisms – to produce food, materials and energy. The market at EU level presents an annual turnover of around two trillion euro, and employs around 18 million people. It is already one of the Union's biggest and most important sectors while its potential for the future is even greater. Bioeconomy has been gaining momentum since September 2005 with 50 countries and regions around the world now having a Bioeconomy strategy or related document in place. Europe's Bioeconomy Strategy addresses the production of renewable biological resources and their conversion into vital products and bio-energy. It was recently updated to accelerate the deployment of a sustainable European bioeconomy so as to maximise its contribution towards the 2030 Agenda and its Sustainable Development Goals (SDGs), as well as the Paris Agreement. The new strategy aims at strengthening the connection between economy, society and the environment. More engagement is necessary. The bioeconomy community needs to develop a clear, visible corporate identity. More global platforms are needed to share views and change views, and to learn mutually about practices, good and bad. This is one of the conclusions indeed also of the World BioEconomy Forum 2018. Find below some articles related to Bioeconomy. This information area has just been created and will growth also thanks to your announcements and the information you would like to share with us. Feel free to contact us at office@wbc-rti.info! In the framework of the next EU long-term budget covering the period 2021-2027, the European Commission has recently proposed to allocate € 100 billion for research and innovation. The new program, HORIZON EUROPE, shall consolidate the results and success of the previous one (Horizon 2020) and shall allow the EU to remain at the forefront of research and innovation worldwide. Horizon Europe represents therefore the most ambitious research and innovation program ever. While continuing to promote scientific excellence through the European Research Council (ERC) and Marie Skłodowska-Curie scholarships and exchanges, Horizon Europe will introduce some key innovations. Administration of Projects, the so-called Project management (PM), was created more than 50 years ago to realize technical development and manufacturing projects of great complexity. This concept has developed over the years and is currently defined as a set of principles and activities to follow for making the everyday decisions that keep a business running, even a small scientific research project. More precisely, PM is a set of activities leading to the positive implementation of a project, where a project may be defined as involving a group of interrelated activities that are planned and then executed in a certain sequence to create a unique output (product or service) within a specific time frame. Research projects differ in many ways from development projects, the most relevant being sometimes lack of strong requirements and inability to plan an output from the start of the project. Moreover, today the economic and political imperatives and pressures are common across the globe. Given the increasing need for external research funding, the role of research administrators in universities or institutions is now more important than ever. The nature of research management and project administration is changing, and it is becoming more professional. Find below some information items related to research project administration topics. This Theme was just created on our portal and you are invited to contribute with your experiences, trainings, etc. Write to office@wbc-rti.info or submit your content directly through the website. “You don’t really understand something unless you can explain it to your grandmother”. This quote is attributed to Albert Einstein and should be the motto of all professional science communicators. Science communication should be part of a scientist's everyday life as communicating with society about science and its benefits is more important than ever. Scientists give talks, write papers and proposals, communicate with a variety of audiences, and educate others. Thus, to be successful scientists must learn how to communicate effectively. In other words, to be a successful scientist, they must be effective communicators and able to transmit their message clearly and concisely so that it is understood by an engaged audience. We might conclude that today, effective communicators can be considered better scientists. As far as we are concerned, the first step we invite you to take is to share your research ideas, results, calls and events with the broad WBC-RTI.INFO community. Do not miss the opportunity to see your information published at our platform and distributed to more than 11.000 stakeholders. Contact us at office@wbc-rti.info or submit your contribution directly through our website. Thank you in advance! Over the years, WBC-RTI.INFO has been largely appreciated as a stable reference point for dissemination of high-quality information on R&I relevant to WB countries. Activities have been so far generously supported by the Austrian Federal Ministry of Education, Science and Research (BMBWF). Funding for the platform is anyway about to expire. This is why, as from January 2019, the ZSI - Centre for Social Innovation will be able to guarantee only basic updating of the portal, and its related social media, while searching for new funding opportunities. We believe in the potential of the WB area as well as in the future of its R&I community. This is why we decided to volunteer some hours for keeping you updated with recent S&T developments and trends also in upcoming months. We hope that 2019 will bring us good news regarding new possible funding sources! For the time being, we invite you to share with us your events, projects, publications, etc. to help us create a sustainable knowledge sharing community! Write to office@wbc-rti.info and get in touch with ZSI staff. We finally advise you to register for the Danube-INCO.NET newsletter if not yet done! We will indeed provisionally include in this other bulletin key information that is relevant also for the WB area. Below we have prepared a brief recap of the activities in 2018 related to R&I in Western Balkan region as well as a short preview on the upcoming year, enjoy reading! And happy and successful New Year 2019! The term “open science” was firstly coined by economist Paul David (2003) while describing the properties of scientific goods generated by the public sector and in opposition to the perceived extension of intellectual property rights into the area of information goods. Open Science is the practice of science in such a way that others can collaborate and contribute, where research data, lab notes and other research processes are freely available, under terms that enable reuse, redistribution and reproduction of the research and its underlying data and methods. In a nutshell, Open Science is transparent and accessible knowledge that is shared and developed through collaborative networks (Vicente-Sáez & Martínez-Fuentes 2018). Open Science in one of the three policy priorities of the Commissioner for Research, Science and Innovation Moedas and is part of the Digital Single Market (DSM) initiative of the European Commission. The European Commission affirms that: “Open Science represents a new approach to the scientific process based on cooperative work and new ways of diffusing knowledge by using digital technologies and new collaborative tools. The idea captures a systemic change to the way science and research have been carried out for the last fifty years: shifting from the standard practices of publishing research results in scientific publications towards sharing and using all available knowledge at an earlier stage in the research process. Open Science encompasses a variety of practices, usually including areas like open access to publications, open research data, open source software/tools, open workflows, citizen science, open educational resources, and alternative methods for research evaluation including open peer review (Pontika et al., 2015). It is enabled by digital technologies, and driven by the enormous growth of data, the globalisation and enlargement of the scientific community including new actors (e.g. citizen science), and the need to address societal challenges. The institutions involved in science are affected (research organisations, research councils, funding bodies), as is the way in which science is disseminated and assessed e.g. the rise of new scientific disciplines, innovative pathways in publishing (among them a substantial rise of open access journals), new scientific reputation systems, and changes in the way the quality and impact of research are evaluated. In the short term, Open Science may offer more transparency, openness, inclusiveness and networked collaboration. In the long term, it may make science more efficient, reliable and responsive to the grand challenges of our times as well as foster co-creation and Open Innovation. Open Science increases the impact and quality of science and it might also change the assessment of scientific integrity. Open access to scientific peer reviewed publications has been anchored as an underlying principle in Horizon 2020 and as such is obligatory for any publication which is the result of a Horizon 2020 grant. Find below all information items we have been collecting! It is a work-in-progress section therefore do not hesitate to contact us at office@wbc-rti.info to promote your initiatives! The European Commission on October 27, 2017 announced how it will spend €30 billion of the EU research and innovation funding programme Horizon 2020 during 2018-2020, including €2.7 billion to kick-start a European Innovation Council. Horizon 2020, the EU's €77 billion research and innovation funding programme, supports scientific excellence in Europe and has contributed to high-profile scientific breakthroughs such as the discovery of exoplanets and gravitational waves. Over the next 3 years, the Commission will seek greater impact of its research funding by focusing on fewer, but critical topics such as migration, security, climate, clean energy and digital economy. Horizon 2020 will also be more geared towards boosting breakthrough, market-creating innovation. If you are searching for project partners, please refer to some of the links indicated below. You are also welcome to use the news section of this portal to publish your parner search (reaching over 3000 registered users), or one of our social media channels (eg. you can reach via our Facebook profile over 1120 persons interested in WBC and cooperation in RTI. The Steering Platform on Research and Innovation for Western Balkans was established in 2006 to facilitate the interaction between the Western Balkan Countries, the EU member states, the candidate and potential candidate countries and other states associated to the Framework Programmes for RTD and the European Commission. Its main objective is to support the enhanced integration of the WBCs in the European Research Area. Therefore it is a strategic body to deal with European, multilateral and regional issues of Science, Technology and Innovation policies in and with the WBCs. It acts moreover as an information exchange centre, clearing house for joint ideas and activities, and coordination forum for needs, suggestions and proposals of the WBCs to the European Commission, the EU Member States, candidate and potential candidate countries and the countries associated to Horizon 2020 and vice versa. In this spirit, the Platform continues and intensifies the progress achieved under the EU-Balkan Countries Action Plan on Science and Technology since 2006. In 2017 new scheme for the support of the SP meetings was introduced funded by the European Commission (International Cooperation Support Facility of the European Commission). Within this facility, plans include the organisation of two Steering Platform meetings in 2017 and in 2018, as well as three thematic meetings including the preparatory meetings for the SP. The last 20th Western Balkans Steering Platform on Research and Innovation was organised in Brussels on the morning of the 25 June 2018. Back to back with this SP meeting, the 7th Ministerial Western Balkans Platform on Education and Training was also held on 25-26 June 2018. Updates on SP meetings are available at the WBC-RTI.info website - Information Platform funded by the Austrian Federal Ministry of Education, Science and Research (BMBWF) and implemented by the Centre for Social Innovation (ZSI) - in this way actively supporting the Steering Platform meetings. SP was in focus of the WBC-RTI.info newsletter in July 2015. The related article is available here. The 18th SP meeting was held in Sarajevo in June 2016 (find an update here) while the 19th SP was held in September 2017 (information is accessible by clicking here.) All the latest SP-related articles are available below. Please note that some of them are not public but restricted to SP members only. Launched in 2012, this is the EU's initiative for cooperation in education with Albania, Bosnia & Herzegovina, the former Yugoslav Republic of Macedonia, Kosovo, Montenegro and Serbia. The Director-General of EAC Chairs the annual Ministerial meetings which identify common priorities, discuss latest policy and reform measures and decide on topics for regional cooperation with EU assistance. In 2017 and 2018 the Platform on Education and Training (DG EAC) and Steering Platform on Research and Innovation (DG R&I) are organised jointly (back to back). The Commission launched end of January 2017 celebrations on the occasion of the 30th anniversary of the start of Erasmus, one of the most successful programmes of the European Union. The Commission also published the Erasmus+ Annual Report. Events will take place throughout 2017 at European, national and local levels to highlight the positive impact of Erasmus both on individuals and society as a whole, and to give all those involved the opportunity to debate how the programme should evolve in the future. The European approach to research infrastructures has made remarkable progress in recent years with the implementation of the European Strategy Forum on Research Infrastructures (ESFRI) roadmap, integrating and opening national research facilities and developing e-infrastructures underpinning a digital European Research Area. The Member States and the Associated Countries operate a diverse system of RIs ranging from well-established sectors like physics, astronomy, energy and materials science, mostly based on large single-sited laboratories, to the fast developing health, food, environment and cultural innovation sectors where novel architectures of RIs are being developed that build on distributed capacity and speciality. Within H2020 the objective is to develop the European RIs for 2020 and beyond so as they become a new world-class RIs by integrating and opening national RIs of pan-European interest, development, and through deployment and operation of ICT based e-Infrastructures. This to foster the innovation potential of RIs and their human capital while also reinforcing European RI policy and international cooperation. 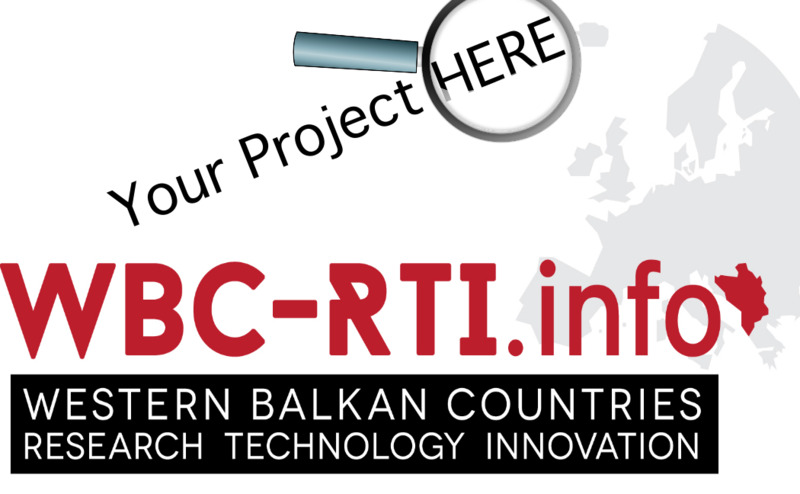 WBC-RTI.info is providing information on a number of Research infrastructures (RIs), important research facilities and research equipment in Western Balkan countries (but also EU-wide) collected in our RI database. This covers services, facilities, equipment and resources that are used by the scientific community to conduct a research in respective scientific fields.The Database is open for inputs. Private or public institutions who operate and maintain Research Infrastructure / important equipment are warmly invited to register (Examples: small, medium or large scale research installations, institutes and faculties with important research equipment and facilities, libraries, research databases, archives, high speed communication networks, networks of computers facilities, meteorological observation facilities, research vessels etc.). Find below all information we published as far as the research infrastructures are concerned. On the invitation of the German Chancellor Angela Merkel, an intergovernmental conference on the Western Balkans was held in Berlin on 28 August 2014. It was the launching conference of the Western Balkans Process. After the launching of the political initiative, the Leopoldina as Germany’s National Academy, was entrusted by the German Federal Government to take over the initiative in the field of education, science and society. The 1st Joint Science Conference was held in Halle and Berlin in 2015, the 2nd Joint Science Conference in Vienna in 2016, the 3rd Conference will be held in Paris in 2017. The circle of stakeholders is represented by national academies of sciences and arts, rectors’ conferences, distinguished scientists ad personam and junior scientists. Further representatives of (international) organisations, the EU-commission, national governments and embassies take part as invited participants or observers. The participants discuss current challenges and possible solutions and improvements for the science systems in the Western Balkans. The results are usually summarised in Joint Statements, Final Conclusions or Communiqués. These are fed into the annual Western Balkans Leaders’ Summits in form of recommendations and independent advice. Western Balkans Process | Joint Science Conference was in focus of the WBC-RTI.info newsletter in July 2016. Related article is available here. Please find below also a selection of other related articles. Knowledge transfer (KT) is a term used to encompass a very broad range of activities to support mutually beneficial collaborations between universities, businesses and the public sector. Discussion around KT often focuses on the formation of spin-out business or the licensing of intellectual property (IP) based on the outputs of university science and technology-related research. Although these are vitally important areas, KT actually encompasses a much broader range of activities and is not limited to the science and technology disciplines. In Western Balkan countries, where R&D capacities have been greatly affected by brain drain and underinvestment in research, where technology transfer activities are still scarce and collaboration with industry tends to be driven by occasional opportunities rather than by strategic, long term partnerships - the need for a strategic approach to KTT in order to improve the science and innovation systems in WBC is obvious. In other words, knowledge on how to cover the entire chain from research to the market should be facilitated. In this regard, some relevant activities are currently ongoing in the region. Since knowledge is transferred i.a. through events and networking, we would like to draw your attention to recently held Workshop on Investment Vehicles and Financial Instruments supporting Technology Transfer and Innovation (Belgrade, March 2017 - presentations online available) and upcoming "Workshop on the Role of Science/ Technology Parks and Incubators in Innovation Ecosystems - Promoting Technology Transfer and Innovation" to be held in Thessaloniki (May 2017). Furthermore, we would like to inform you that a project "Capacity Building for Technology Transfer for the Western Balkans –EU4Tech" (European Commission, Directorate-General for Neighbourhood and Enlargement Negotiations) has been recently kicked-off. Further information will be available soon. Also, an interesting funding opportunity such as the 2nd Call within the Danube Transnational Programme is to be launched soon. Under specific objective 1.1. of this upcoming call, the following topics (that are also of interest for WBC) will be funded: commercialisation of research results and technology transfer; cluster policies and transnational cluster cooperation based on smart specialisation approaches; management of intellectual property rights for supporting innovation. One of our topics is related to research on Western Balkan's challenges towards EU integration. Here we will present the Horizon 2020 funded INFORM project, focusing on "Closing the Gap between Formal and Informal Institutions in the Balkans". INFORM aims to provide a comprehensive understanding of the interaction between the formal institutions brought about by EU integration processes and the informal institutions prevalent in the Western Balkan countries. Formal institutions and rules, such as legal and political regulations, as well as organizations and mechanisms of their implementation, determine formal constraints. Informal institutions, on the other hand, comprise the unwritten rules within a society and highlight the importance of such aspects of social life as conventions, cultural norms, and networks of affinity. The project is based on the premise that, shaken by radically changing ideological and legal structures over the past century, citizens of the Western Balkan countries continue to rely on informal social networks to ensure their socio-economic and political security. These parallel processes have resulted in the widening of the gap between formal institutions and informal social practices. Consequently, the distance between proclaimed goals and existing practices represents a key challenge to the European integration of Balkan societies. INFORM aims to address this paradox by explicating the key formal and informal “rules of the game” that underpin tactical maneuvering between formal and informal institutions in various spheres and at various levels of social life in the Western Balkan countries. The identification and deciphering of the unwritten rules allows for a comparison to the demands and recommendations laid out in the key EU integration. The meticulous, bottom-up research, based in ethnographic approach, will result in policy recommendations aimed at acknowledging informality as part of social life and closing the gap between formal and informal institutions in Balkan societies. The European Commission adopted on November 9, 2016 its annual Enlargement Package. It assesses where the countries of the Western Balkans and Turkey stand in implementing key political and economic reforms, and what needs to be done to address the remaining challenges. Related to Science, Research and Innovation there is a good level of preparation in Macedonia, Montenegro and Serbia, while in Albania, Bosnia and Herzegovina and Kosovo the preparations are at an early stage in the area of science and research however some progress was made also in 2016. Some of the main recommendations provided by the authors and which are valid for all countries from the region are - similar to recommendations for 2016 - to increse investment in research and work on capacity building measures. Below you will find links to 2016 Western Balkan progress reports as well as an overview on selected articles (news, events, calls, documents etc.) covering different thematic issues from 2016 and towards 2017. Smart specialisation strategies (RIS 3 or S3) are about enabling regions to turn their needs, strengths and competitive advantages into marketable goods and services. They aim to prioritise public research and innovation investments through a bottom up approach for the economic transformation of regions, building on regional competitive advantages and facilitating market opportunities in new inter-regional and European value chains. They help regions to anticipate, plan and accompany their process of economic modernisation. The S3 approach is thus characterised by the identification of strategic areas for intervention based both on the analysis of the strengths and potential of the economy and on an Entrepreneurial Discovery Process (EDP) with wide stakeholder involvement. It embraces a broad view of innovation supported by effective monitoring mechanisms. Smart Specialisation Strategies (RIS3 or S3) set priorities at national and regional level to build competitive advantage by developing and matching research and innovation own strengths with business needs, to address emerging opportunities and market developments in a coherent manner, while avoiding duplication and fragmentation of efforts. They are also a backbone of national or regional research and innovation strategic policy frameworks in Europe. Since 2011, the Smart Specialisation Platform (S3 Platform) acts as a facilitator for regions and countries in the uptake and incorporation of the smart specialisation concept and methodology in their research and innovation strategies. The community is continuously growing. (Source: EC-JRC). Smart Specialisation has already been in focus of the WBC-RTI.info newsletter in 2016. You can find the related articles here. The ICT sector represents 4.8% of the European economy. It generates 25% of total business expenditure in Research and Development (R&D), and investments in ICT account for 50% of all European productivity growth. EU investments in ICTs are due to increase by about 25% under Horizon 2020 compared to FP7. This EU investment will support the whole chain from basic research to innovation that can deliver new business breakthroughs, often on the basis of emerging technologies. Information and Communication Technologies underpin innovation and competitiveness across private and public sectors and enable scientific progress in all disciplines. (EC) Thus in H2020, ICT-related topics can be found in all priorities, from 'Excellence Science' to 'Industrial Leadership', to 'Societal Challenges'. Please check the updated version (as of July 2016) of the Guide to ICT-related activities in WP 2016-17 which is designed to help potential proposers find ICT-related topics across the different parts of H2020. The European Commission is also organising an Horizon 2020 Calls Info Day on 2 December 2016 in Brussels that is relevant for potential proposers from the Western Balkans as well. Small- and Medium- sized Enterprises (SMEs) that are EU-based or established in a country associated to Horizon 2020 (thus including SMEs from Western Balkan countries) are encouraged to participate across the whole Horizon 2020 programme. The objective of ‘Innovation in SMEs’ is to optimise the Research, Development & Innovation environment for SMEs, including through the establishment and facilitation of a range of support services, with the aim of strengthening the innovation capacity of SMEs and creating value on the market and/or into society, thus underpinning the Europe2020 strategy for smart, inclusive and sustainable growth. A range of actions contributes to building innovation management capacity for Small and Medium Enterprises. Innovation management capacity is the internal ability of companies to manage innovation processes from the generation of the idea to its profitability on the market. It is a process that encompasses the whole range of decisions, activities and measures in order to facilitate the transfer of an idea into the business value. This process can be applied for all kind of ideas, whether it is about a product, process or a service. The focus of the Innovation Management is to provide the set of measures and tools which will facilitate the inventors to respond to the challenges in the whole innovation cycle and to turn their ideas into successful innovations on the market. Innovation in SMEs | Innovation Management was in focus of the WBC-RTI.info newsletter in September/October 2016. Related article is available here. Please find below also a selection of the topic related articles. Promoting gender equality is a core activity for the EU. The Commission's “Strategic engagement for gender equality 2016-2019” is a reference framework for increased efforts at all levels, be they European, national, regional or local. In Horizon 2020 Gender is a cross-cutting issue and is mainstreamed in each of the different parts of the Work Programme, ensuring a more integrated approach to research and innovation. Though gender inequalities in R&I persist, the latest “She Figures 2015” (including some of the Western Balkan countries) publication shows that some progress has been made, although attrition continues to exist at higher levels of a scientific career. Please find below some gender / women in science related links and articles including the She Figures 2015 and some open calls in Horizon 2020 related to topics with gender dimension. Women in Science | Gender Equality was in focus of the WBC-RTI.info newsletter in May/June 2016. Related article is available here. Please find below also a selection of the topic related articles. The participants of the Western Balkans Vienna Summit 2015 clearly recognized that improving the perspective of young generations is of “paramount importance in ensuring stability, sustainable development and progress of the region”. They also welcomed "the proposal to make civil society an additional important element of the Berlin Process". Both, youth and society can also be considered of utmost relevance for the region when it comes to improving the framework conditions for research and innovation. The organisations from the Western Balkans are also well adviced to consider the participation in one of the current open calls within the Horizon 2020 Specific Programme - 'Science with and for Society' (SWAFS). The aim of the programme is "to build effective cooperation between science and society, to recruit new talent for science and to pair scientific excellence with social awareness and responsibility". In this context, you will find below an information on some recent related developments in form of news, events, organisations as well as selected open calls. Youth | Science | Society was in focus of the WBC-RTI.info newsletter in May 2016. Related article is available here. Please find below also a selection of the topic related articles. In this context, the FP7-funded RRI Tools project is implemented with the objective to deliver a participatory set of digital resources - ‘the RRI Toolkit’ - to advocate, train, disseminate and implement RRI. So far, the project has gathered a wealth of online resources from all over Europe and developed new ones – the RRI Toolkit – to help stakeholders (researchers, policy-makers, business and industry, educators and civil society organizations) across Europe - including South East Europe, to put Responsible Research and Innovation into practice. The RRI Toolkit is online since March 2016 at http://www.rri-tools.eu. Collaborating with all stakeholders, the project ultimately aims at creating a Community of Practice in Europe, which will ensure the use, evolution and enrichment of the Toolkit. RRI Tools is being carried out by a consortium of 26 partners extending across 30 countries of the European Research Area, and is coordinated by "La Caixa" Foundation (Spain). The coordinator of the SEE RRI Hub is the Center for the promotion of Science from Belgrade. Please find below all related information to RRI tools project and SEE RRI Hub. RTDI Evaluation / Evaluation Culture was in focus of the WBC-RTI.info newsletter in March 2016. Related article is available here. Please find below also a selection of the topic related articles. The complexity and heterogeneity of innovation systems in different European and Western Balkan countries requires strategic intelligence to design, implement, and monitor research, technological development, and innovation (RTDI) measures at different spatial levels (local, national, regional, and European) by addressing issues of relevance, efficiency, efficacy, impact, and sustainability . For this purpose, evaluations are an essential tool for evidence-based decision-making. This is especially true in the South-East Europe region, which is characterised by the adoption and adaptation of new RTDI policies, programmes, and (support) institutions, and a transformation of funding towards competitive schemes. At the same time, however, a lack of methodological and procedural know-how on the part of both evaluators and awarding authorities concerning the purpose, design, and use of evaluations, has become evident. "Regional Strategies for and with the Western Balkans"
Which strategy is being followed in research and innovation in the Western Balkan countries? Are there too many strategies and how well interconnected are they? Are they truly been followed or just pieces of paper? "Regional Strategies for and with the Western Balkans" was in focus of the WBC-RTI.info newsletter in January 2016. Related article is available here. Please find below also a selection of the topic related articles. There is a long history of outmigration from Southeast European countries, creating large population groups residing abroad (mostly in EU countries and USA) and are usually referred to as SEE diaspora, SEE emigrants, SEE expatriates etc. Regarding scientific diaspora and brain drain, the governments in the region - being aware of related challenges for the overall economies – have recently undertaken a number of initiatives to address the issue. These include several of the traditional measures, from creation of directory databases, “knowledge networks,” and discussion forums to the provision of visiting and post-doctorate fellowships. Please find below some related reports, links to directory databases and other related information. South East European Scientific Diaspora was in focus of the WBC-RTI.info newsletter in December 2015. Related article is available here . Please find below also a selection of the topic related articles. Capacity building is an enabling and empowering process; it provides researchers, scientists, R&I managers, etc. with the necessary tools and networks resulting in better chances for producing substantial, excellent research results. To drive innovation-led economic growth it is nowadays necessary to strengthen the S&T and Innovation Ecosystem. Countries generally have to define their need for science and technology services, while enhancing the capacity of universities to train graduates in high-demand skills. Initiatives are needed to encourage collaborative innovation between and among universities and industry—in order to harness the intellectual capital of countries’ higher-education system to sustainably and efficiently support prosperity. Capacity building initiatives for instance could relate to: improving research qualifications of faculty and staff, boosting research capacity in key disciplines, strengthening university-industry links in high-growth economic sectors, and finally bolstering the policy capacity of higher-education institutions in science, technology and innovation. Over the past years it has moreover become clear, especially in the WB countries, that there is a need for training programs, workshops and internships as part of capacity building and professional development of staff working in the R&I management environment and support services. Only thanks to a strengthened administrative, research and innovation capacity at national level WB countries can guarantee themselves a successful participation in Horizon 2020 and other national, regional and EU research funding programmes. This is why RTDI capacity and potential in the WB region is again under our spotlight. Please find below also a selection of the topic related articles. Besides, we kindly invite you to directly upload any further relevant call for papers, training and internship opportunity for young researchers, national training opportunity for administrative project staff etc. When registered at the WBC-RTI.info, you have the opportunity to upload content by yourself. Otherwise, you can contact us at any time and provide the information via office@wbc-rti.info. RTDI capacity in WBC as well as capacity building opportunities had already been in focus of the WBC-RTI.info newsletter. You can find the related articles here. The European Commission will invest almost €16 billion in research and innovation in the next two years under Horizon 2020, the EU's research and innovation funding scheme, following a new Work Programme for 2016-17 adopted in October 2015. All Western Balkan countries (except Kosovo* which also can participate as a third country) are associated to Horizon 2020, thus legal entities from Associated Countries can participate under the same conditions as legal entities from the Member States. Following the first preliminary results of the WBC participation in Horizon 2020, indicating overall low participation rate (Albania: 10%; Bosnia & Herzegovina: 13%; FYROM: 15%; Montenegro: 18%; Serbia: 11% and in particular low participation of industry/SMEs) – research organisations from WBC, universities, SMEs and single researchers are invited to put their ideas on paper and find partners to jointly prepare excellent proposals within a new work programme 2016/2017. There are several topics introduced within different calls for proposals in Horizon 2020 but also some other current or future funding programmes which might be of high interest for Western Balkan countries. Please find below some selected calls and useful documents. Research funding opportunities and performance of WBC was in focus of the WBC-RTI.info newsletter in October 2015. Related article is available here . Please find below also a selection of the topic related articles. In recent years the Western Balkan countries have made some important efforts to overcome the negative consequences of the economic and political transition and its impact on the region’s research and innovation sectors: They adopted a variety of strategies, laws and programs to improve the performance of the sector on the national level and they improved the regional cooperation in R&D for example by committing themselves to “Western Balkans Regional R&D Strategy for Innovation” and Smart Growth pillar of the “South East European 2020 Strategy” (SEE 2020). All countries are also associated to Horizon 2020; the preliminary results show some first success stories however overall participation rate is quite low. WBC also agreed on the establishment of “Western Balkans Research and Innovation Centre” (WISE) by the end of 2015 aiming at strengthening the regional research, innovation and technology systems by providing support, advice, information and recommendations to the states, public and private institutions, non-governmental organizations and all other relevant stakeholders. However, social and political problems are still more pressing in WBC than the low level of R&D investment (Serbia and Montenegro spend on around 1% of GDP on R&D, while other countries in the region spend up to 0,3% of GDP) or support for technology transfer activities. The importance of the education, research and innovation for the overall success of the EU-integration efforts of the Western Balkans was again confirmed during the 1st Joint Science Conference held on July 15-17, 2015 in Halle and Berlin and during the second Summit Meeting on the Western Balkans held in Vienna on August 27, 2015 – both events in the framework of the Western Balkans Process, also known as the ‘Berlin process'. Research and Innovation Policy in Western Balkans - some recent developments was in focus of the WBC-RTI.info newsletter in August 2015. Related article is available here . Please find below also a selection of the topic related articles. From research to market - what is needed in WBC? The purpose of the conference was to provide an international forum for the exchange of useful information over the broad spectrum of fields covered by entrepreneurship, knowledge/technology transfer, and university and business cooperation, so Prof. Stojanovic. From research to market - what is needed in WBC? was in focus of the WBC-RTI.info newsletter in September 2015. Related article is available here. Please find below also a selection of the topic related articles. Here you will find some relevant information focusing the SMEs (small and medium-sized enterprises) who are involved in research and innovation. Please notice that we publish only some of the existing calls that are of interest for WBC. Regarding Horizon 2020, please refer to the participant portal as the main infopoint for this programme. Here you will find useful information in particular relevant for financial project managers. Here you will find some useful information regarding dissemination activities. SSH gathers a series of academic disciplines, concerned with aspects of human society and culture and the relationships among individuals within a society. SSH as a whole has many branches ranging from anthropology to philosophy, and from gender studies to global studies, each of which is considered a social science itself. Branches include, but are not limited to: anthropology, archaeology, communication studies, economics, history, human geography, jurisprudence, linguistics, political science, psychology, public health, and sociology. The term is can also be used to refer to the field of sociology, the original "science of society", established in the 19th century. As a cross-cutting issue of broad relevance, Social Sciences and Humanities (SSH) research is currently fully integrated into each of the general objectives of Horizon 2020. Embedding SSH research across Horizon 2020 is thus essential to maximise the returns to society from investment in science and technology. Topics like competitiveness, climate change, energy security or public health are complex and multi-faceted and need to be thout across disciplines. Indeed, the idea to focus Horizon 2020 around "Challenges" rather than disciplinary fields of research illustrates this new approach. Leadership in enabling and industrial technologies, the arts and humanities might be an essential source for creativity in development of services and product design. You can search for funding opportunities related to social sciences and humanities in the new EC Funding and Tenders Portal. Find below some articles related to SSH. This information area has just been created and will growth also thanks to your announcements and the information you would like to share with us. Feel free to contact us at office@wbc-rti.info! The term "Cluster" was initially elaborated by Alfred Marshall, the English economist who noted that the companies belonging to the same sector tend to group together in the same geographical territory with goal to optimize their economic activities. He called this phenomenon “industrial districts”. The theory of industrial districts was further developed and nowadays the term is widely accepted and used among those who have been responsible for industrial and regional development. Today’s economic map of the world is characterized by “clusters” meaning geographic concentrations of interrelated companies and institutions in a particular field. Clusters are a geographic concentration of firms, higher education and research institutions, and other public and private entities that facilitates collaboration on complementary economic activities and partnerships on innovative projects. Clusters embrace a range of linked industries and other entities significant for keeping competitiveness; they include, for example, suppliers of specialized inputs such as components, machinery, and services, and providers of specialized infrastructure. Clusters also often extend to channels and customers as well as to manufacturers of complementary products and to companies in industries related by skills, technologies, or common inputs. Finally, many clusters include governmental and other institutions—such as universities, standards-setting agencies, think tanks, vocational training providers, and trade associations—that provide specialized training, education, information, research, and technical support. While some of the world’s leading clusters specialize in high-technology industries (e.g. Silicon Valley) clusters are also found in sectors ranging from wine making to automobiles to biotechnology. Clusters are powerful engines of economic development and drivers of innovation in the European Union. EU's policy tendencies aimed at stimulating the development of competitive agglomeration are determining Member States to steer public measures to support associative forms such as clusters or poles of competitiveness. Clusters provide a fertile business environment for companies, especially SMEs, to collaborate with research institutions, suppliers, customers and competitors located in the same geographical area. Find below all information items we have been collecting! It is a work in progress area, therefore do not hesitate to contact us at office@wbc-rti.info to promote your cluster development initiatives!